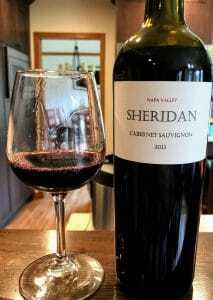 A few quick thoughts on the 2013 Sheridan Napa Valley Cabernet Sauvignon. Scott and Karen Greer founded Sheridan Vineyards in 1996 in the Yakima Valley of Washington State. From the first vintage release in 2000, Sheridan has received much critical acclaim–being described as one of the rising stars in Washington. In 2012, the Greers ventured into Napa Valley to produce a Cabernet Sauvignon sourced from the Wilsey Vineyard in Rutherford. 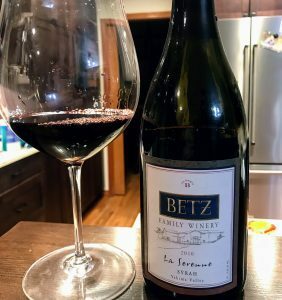 Located in the northwest quadrant of the appellation next to the Beckstoeffer-Melrose vineyard and near Emmolo’s Home Ranch and Whitehall Lane’s Bommarito vineyards, the Wilsey Vineyard was purchased in 1974 by the late Gary Wilsey. According to Richard Mendelson in his book Appellation Napa Valley, Wilsey and his wife Lanetta, along with Agustin Huneeus of Franciscan Estate, Steve Girard of Girard Winery, Dennis Groth of Groth Vineyards, Jean Phillips of Screaming Eagle and the Duncan family of Silver Oak were part of the “Anti-Benchers” faction that opposed the delineation (and even existence) of a “Rutherford Bench”. 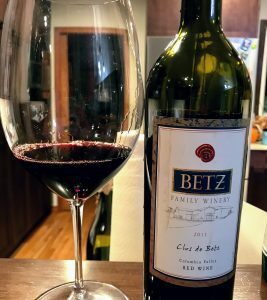 Right now the rich dark fruits and secondary oak dominates but this wine is not far from developing even more interesting tertiary flavors. 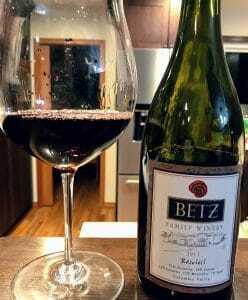 Medium-plus intensity nose–ripe dark fruit flavors of black plums and blackberry. Noticeable oak baking spices of clove and nutmeg as well. On the palate those rich dark fruit flavors carry through contributing to the full-bodied weight of the wine. The mouthwatering medium-plus acidity balances the fruit well. The high tannins are very present but very ripe and smoothed by the vanilla from the oak. The long finish is still fruit-forward but starts to linger with spice and just a hint of smokey tobacco. It feels like this Napa Cab is certainly on the cusp of hitting its prime. It just needs the baby fat of ripe fruit and oak to give way to more complex notes. This wine is drinking well within its $100-130 Napa peers. 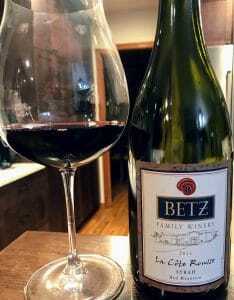 However, its structure and acidity has the potential to deliver much more. Tagged Agustin Huneeus, Appellation Napa Valley, Beckstoeffer-Melrose, Bommarito vineyard, Dennis Groth, Duncan Family, Emmolo, Franciscan Estate, Gary Wilsey, Girard Winery, Groth Vineyards, Jean Phillips, Karen Greer, Richard Mendelson, Rutherford, Rutherford Bench, Scott Greer, Screaming Eagle, Sheridan Vineyards, Silver Oak, Steve Girard, Whitehall Lane, Wilsey Vineyard.